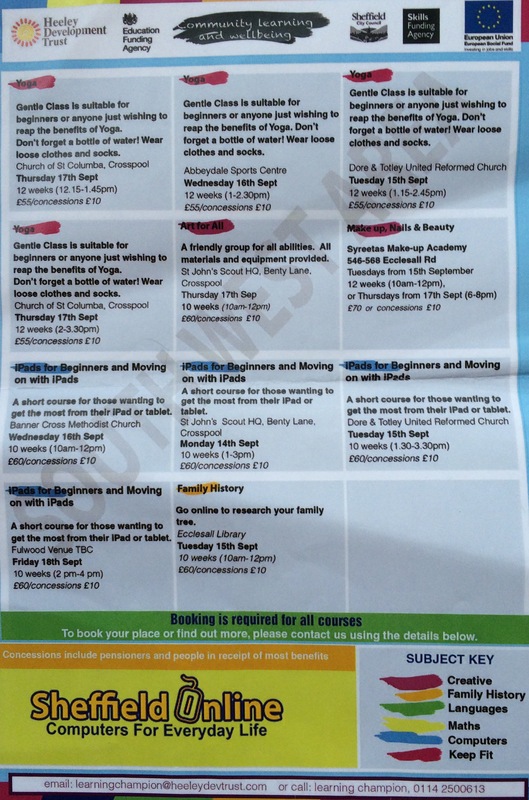 Heeley Development Trust are running yoga, art and iPad for beginners courses from September in Crosspool. Details are below – click to enlarge. To book, email learningchampion@heeleydevtrust.com or call 0114 250 0613. This entry was posted in arts, courses, crosspool and tagged art, heeley development trust, ipad, tablets, yoga. Bookmark the permalink.